The rosters for both Monday Night Raw and the newly revamped SmackDown Live have been finalized following Tuesday night's WWE brand-extension Draft. Raw commissioner Stephanie McMahon and general manager Mick Foley had the first pick and chose Seth Rollins, while SmackDown bosses Shane McMahon and Daniel Bryan chose WWE champion Dean Ambrose with their first selection. Finn Balor will soon make his much-anticipated main roster debut after he was chosen by Raw with their third pick. American Alpha, Nia Jax, Alexa Bliss, Mojo Rawley, and Carmella were the other selections made from the NXT roster. 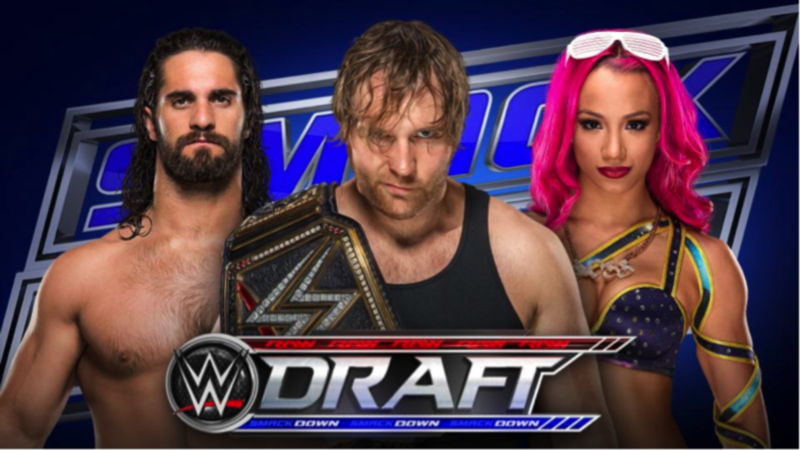 Heath Slater was the only superstar WWE listed as draft-eligible that was not selected. WWE also announced new commentary teams for both shows with Michael Cole, Corey Graves, & Byron Saxton calling Raw and Mauro Ranallo, JBL, & David Otunga calling SmackDown. Jerry Lawler had been doing color commentary for SmackDown but is no longer listed for either show.